La Ley de Moore señala que aproximadamente cada 18 meses se duplica el número de transistores en un circuito integrado. Se trata de una ley empírica, formulada por el co-fundador de Intel, Gordon E. Moore el 19 de abril de 1965, cuyo cumplimiento se ha podido constatar hasta hoy. En 1965 Gordon Moore afirmó que la tecnología tenía futuro, que el número de transistores por pulgada en circuitos integrados se duplicaba cada año y que la tendencia continuaría durante las siguientes dos décadas. Más tarde, en 1975, modificó su propia ley al afirmar que el ritmo bajaría, y que la capacidad de integración se duplicaría aproximadamente cada 24 meses. Esta progresión de crecimiento exponencial, duplicar la capacidad de los circuitos integrados cada dos años, es lo que se considera la Ley de Moore. 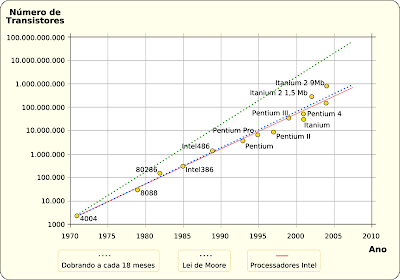 La consecuencia directa de la Ley de Moore es que los precios bajan al mismo tiempo que las prestaciones suben: la computadora que hoy vale 3000 dólares costará la mitad al año siguiente y estará obsoleta en dos años. En 26 años el número de transistores en un chip se ha incrementado 3200 veces. Navigating the intersection of markets, governments, policy, politics and public opinion is an increasingly challenging and important role for management teams and boards of directors. Operating in major political capitals and key emerging markets, Weinsteiner Consulting helps organizations set strategies to engage with public policy stakeholders in compelling and effective ways. We provide clients with the expertise they need to analyze, advise and deliver across these critical areas. Campaigns using media relations, digital strategies, advertising, grassroots organizing and lobbying to influence decision makers make up a public affairs initiative. Public affairs campaigns are intended to impact specific governmental actions or decisions by shaping public opinion. Weinsteiner Consulting specializes in integrated public affairs campaigns and our record of success is unparalleled. Weinsteiner Consulting works with government organizations and political campaigns to help them understand emerging issues in order to develop strategies that enable them to realize their individualized goals. Our extensive experience ensures that our clients can identify and refine messages that resonate with their key audiences using creative, unique, and efficient avenues for message delivery. In order to develop a tailored strategy for our clients, our work plan begins with accurate qualitative and quantitative research to understand the political environment. Weinsteiner Consulting would provide specific recommendations to construct or improve your message, as well as execute its delivery. Weinsteiner Consulting is also able to provide you with grassroots solutions for a comprehensive connection to your electorate. ¿Quién hereda el 25% de Menem en 2003? Advocacy advertising allows you to define an issue of public debate on your own terms in order to shift public opinion and activate your audience. When properly executed, constituents (electors) become the amplifier for your message and the vehicle for affecting (afectar, comprometer) policy, legislation, and broader public opinion. However, because advocacy advertising promotes a point of view rather than a product or service, it requires a different approach to both creative development and media buying than traditional commercial advertising. At Weinsteiner Consulting we have extensive experience in this area. We tap into the triggers that motivate your audience through public opinion research and leverage these insights across a comprehensive (integral, extensor, exhaustive) media strategy. We create award-winning campaigns that touch your audience on issues that matter to them. What happens in the courtroom is only part of the battle. Allegations can travel the Internet at warp speed and spread virally, generate national media exposure, activate special interests and mobilize organized opposition. Successfully navigating today's complex world of legal affairs demands sophisticated legal strategy, and equally sophisticated communications strategy. At the intersection of business, law, government, politics and media, we are uniquely positioned to serve our clients in this arena. We employ a proven two-pronged approach: conditioning the environment outside the courtroom or hearing room with the desired legal outcome in mind, while safeguarding our clients' reputations, brands and business imperatives (fundamentals) from the allegations at issue. We specialize in high profile, sensitive and complex litigation. Con las campañas de advocacy, de construcción de escenarios y adhesión, planteamos y organizamos un debate que se está dando o no en la arena pública en nuestros términos.Con el objetivo de sacudir a la opinión pública, obligar a los stakeholders a reposicionarse y activar a la gente, y a los que compran un determinado mensaje dentro de la población, y se convierten en amplificadores del mismo, en el vehiculo para influenciar a los tomadores de decisiones, tanto en el estado como en el sector privado, dentro de la prensa y el universo mediático, como en el ámbito de los legisladores, de los jueces y hacia adentro de la opinión pública. Se impone hoy más que nunca, desarrollar abordajes diferentes del que desplegamos en el proceso creativo y la compra de medios tradicionales. Hay que implementar los disparadores correctos que impactan con profundidad en los diferentes públicos, con investigación, estrategias, tácticas, desarrollos quirúrgicos y planificación en tiempo real. Como decimos en Weinsteiner Consulting: The plan is nothing, planning is everything, el plan es nada, planear es todo. En los tribunales se juegan solo algunos minutos del partido, importantes, pero no cierran el resultado ni para bien ni para mal. Los jueces no viven en otro planeta, y lo que se produce en las cortes, viaja viralmente a la velocidad de la luz via Internet y la Web 3.0. generando exposición mediática, emociones, activando intereses sectoriales y específicos y movilizando grupos a favor y en contra. En la intersección de los negocios, el gobierno, la política, la justicia y los medios, trabajamos dos líneas estratégicas 1)Construir el entorno mas conveniente y favorable para condicionar a los actores y obtener el resultado buscado 2)Preservar y blindar la reputación de nuestro cliente, sus marcas y los fundamentals de sus negocios en curso, de acusaciones, difamación y construcción de anclajes negativos. Ganar un juicio o una batalla comercial es una cosa, preservar la reputación es otra muy diferente. Sobre todo en causas de alto perfil, sensibles y complejas, estableciendo los clivajes mas eficaces, saliendo de la lógica defensiva de solo responder, organizando el debate, para definirlo y ganarlo. Weinsteiner Consulting works for foundations and not-for-profit organizations helping them understand emerging issues in order to develop strategies that enable them to realize their individualized goals. Our extensive experience ensures that our clients can identify and refine messages that resonate with key audiences using creative, unique, and efficient avenues for message delivery. Weinsteiner Consulting seeks to understand the social currents that are changing societies and countries and to help all types of organizations and individuals master emerging issues and implement innovative strategies. We specialize in analyzing changes in today’s diverse socio-political and economic environments and offer all of our clients comprehensive qualitative and quantitative research analysis. The different foundations and NGOs that have worked with Weinsteiner Consulting have received accurate and customized research plans to suit their needs. Many foundations rely on Weinsteiner Consulting to measure and communicate more strategically and effectively. The climate in which companies operate has shifted seismically and corporate reputation has never been so vulnerable. Business today is subject to ever increasing scrutiny from a complex set of stakeholders and influencers whose opinions can create more impact than ever before. Expectations of business have changed and with them the traditional drivers of reputation management. “Know your audience.” Everyone says it, but we truly know how to do it. We’ve spent years defining and refining proprietary research methods that get us to the heart and soul of your audiences—their perceptions, motivations, desires and needs. Then we turn our eye toward your organization—studying your people, processes and competencies; illuminating the real value of what you do and deliver; and evaluating every touchpoint of your brand experience from the outside-in. Armed with a deep understanding of your situation, we deconstruct the elements that truly define your organization and the experience it provides, then reconstruct your brand around a framework of Purpose, Promise, Values and Voice. This framework becomes the bedrock for crafting or evolving each and every touchpoint to reinforce your brand, enhance customer experience and deliver against your business metrics. Our holistic, audience-centered strategies ensure your brand shines through loud and clear—on touchpoints large and small, strategic and functional—throughout the customer journey. Our goal is to distill the essence of what is important, unique and compelling to you and your audiences. Eliminating all the clutter, we allow your true, simple and meaningful brand experience to emerge with a fresh perspective. At Weinsteiner Consulting, we value and trust our clients as the dedicated experts you are. Together, we can challenge the status quo and set new standards of excellence. Simplified communications win voters and influence their thoughts and behaviors. We cut through the volume and complexity of your information—reorganizing, customizing and streamlining communications to make them clearer and more relevant. writing Clarity builds trust, and trust builds loyalty. We help you make the complex clear with simplified, voter-focused language. Brand is an invisible mark that imbues the owner’s personality onto everything they do, own, produce, look like and sound, and which allows others to perceive it instantly and intuitively. Brand Goes Live. Media space has invaded reality. Things become public the moment they happen. There is no time to rehearse or edit anymore. In the not so distant future, everything we see, hear, feel, think, do, will instantly become available to the audience attuned to our frequency. No time to prepare. Nowhere to hide. In the real-time, instantly-shared reality, things can no longer be branded by pasting a logo over them. Instead, the tell-tale of the brand is the very way the things and people are: how they are made or look, how they operate and communicate. Brand symbols have evolved from manicured images to the unedited natural reality of the things they represent. We spot threats and advise how to defuse them. Our consultants come from the highest levels of government, media, politics and campaigning. Our political intelligence gathering is first rate. Our advice is clear and practical. We have a track record of delivering successful above and below-the-line campaigns. We specialise in getting our clients’ points across to those who matter The foundations for reaching and convincing the right people are first identifying who and where they are, and second benchmarking their attitudes and opinions towards you. Building on this, we organise stakeholders into tiers so that it is clear which are highest priority and which need a lighter touch. Having identified the audiences, we help our clients construct the right engagement strategy and find the messages that most resonate with each group of stakeholders. We can then move into the practical phase of the programme, providing logistical support around meetings or events, and tracking the client’s exposure to its audiences. Developing a clear strategy — to govern messages and align activity — is the single most important element of successful communications Messaging We amplify support for issues that affect our clients by identifying, recruiting, educating and mobilizing local support in lawmakers' home states and districts. Through creative grassroots endeavors we mobilize grassroots sentiment for legislative action. 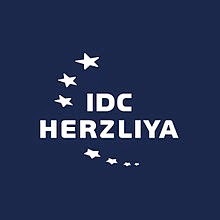 With an extensive campaign background and a team of professionals skilled in both the political and corporate arenas, we provide a unique, effective approach to achieving goals, seizing opportunities and solving problems for our clients. We help our clients identify their key communications objectives, and develop, test and apply clear messages across multiple platforms. Strategy Summit We undertake quantitative and qualitative research to analyse an organisation’s reputation and understand their audiences Messaging Workshop A one day workshop led by Weinsteiner Consulting senior counsel to help identify and agree the right communications strategy for any organisation. Toolkit We provide comprehensive tools for effective communication, including a strategic framework, campaign grid, messaging, stakeholder maps and a tactical plan. We've helped some of the best causes, brands, and campaigns change the way they interact with people, with results they can measure. Situaciones y Entornos de Crisis: Planificación y gestión de la Comunicación en situaciones de Crisis. Diseño y planificación de protocolos de actuación en situaciones de Crisis. Análisis de contextos institucionales, socioeconómicos y de medios. Análisis cualitativos y cuantitativos. Investigación. Seguimiento, análisis e intervención en medios. Planificación y gestión de campañas electorales. Planificación y gestión de de la comunicación institucional. be ahead of the legislative & regulatory changes afecting your Organization & your Industry? provide your Organization the value of having & keeping a good relationship with the Administration decision-making Officers? know which people will decide about the future of your Industry? getting involved and helping to conform the decision or the positioning of a Government Officers? your Organization to be a key player on developing and improving Public Policies? give voice, energy, eficient action capacity & a solid Public Relations to your Organization in order to build strong coalitions? granting your future & viability. que se puede generar y sostener. We offer traditional grassroots lobbying services, unique grasstops (Grassroots would be people organized in order to achieve something, while grasstops would be the people assigned withing this organization to have a leading role for the community). services, in-state lobbying, political intelligence collection, local earned media and many other services. We have a strong presence across the country, featuring the most current and extensive national network of top- notch field operatives in the industry. With operatives across the country, we can tap the right people for any project. In today’s government, political power is often derived in the home states and districts of federal and state officials. To capitalize on this fact, we help our clients by identifying, recruiting and educating the appropriate forces in the home states and districts. This powerful process transforms local resources into persuasive communication assets for your objectives. Our success in government relations stems from our outstanding bipartisan (bi partidista) team whose extensive political experience is derived from decades of combined service within Congress, the executive branch, state capitols, and private-sector organizations. We focus on delivering (entregando) measurable business results and every member of our organization is available to help you achieve your goals. Effective public affairs campaigns can no longer rely on traditional media alone. Blogs and social media platforms have become a key influencer of the 24/7 news cycle and can often direct the course of a campaign. Speed of distribution and viral redistribution make this a powerful element of your public affairs campaign. Locating, targeting, organizing and motivating likeminded supporters to engage with policy makers is a key tactic in shaping public opinion. Weinsteiner Consulitng draw on their experience crafting innovative ways to engage followers in order to plan and manage a campaign that produces the desired result. Providing sources to the media is equally as important as providing information and materials. We can create a network of third-party advocates as credible sources who can speak favorably on your side of an issue. We choose the right tools to meet every challenge.